Putting your pain and bereavement in words is a task so gruesome (at least for many), especially when you lose your loved ones. You certainly feel that any small help at that time would be greatly appreciated while the haunting memories of the deceased crucifies the writer and keeps creating roadblocks in producing the text. But don’t worry anymore. The help is within the reach. 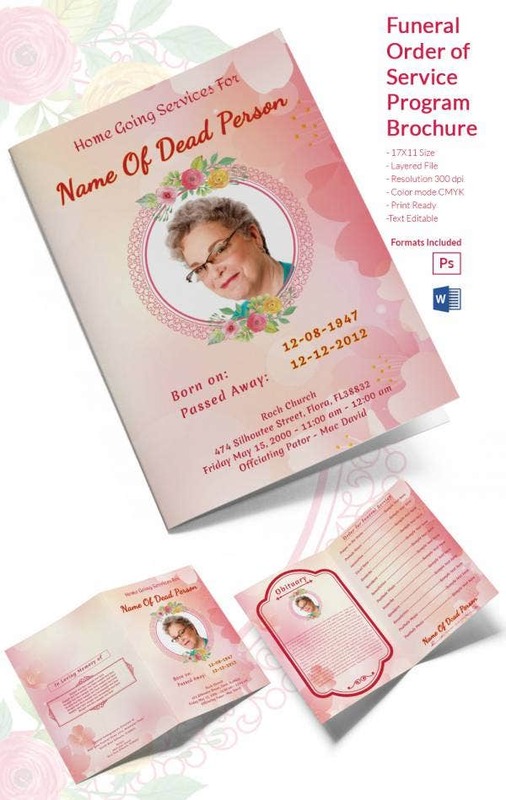 There are various kinds of funeral templates. 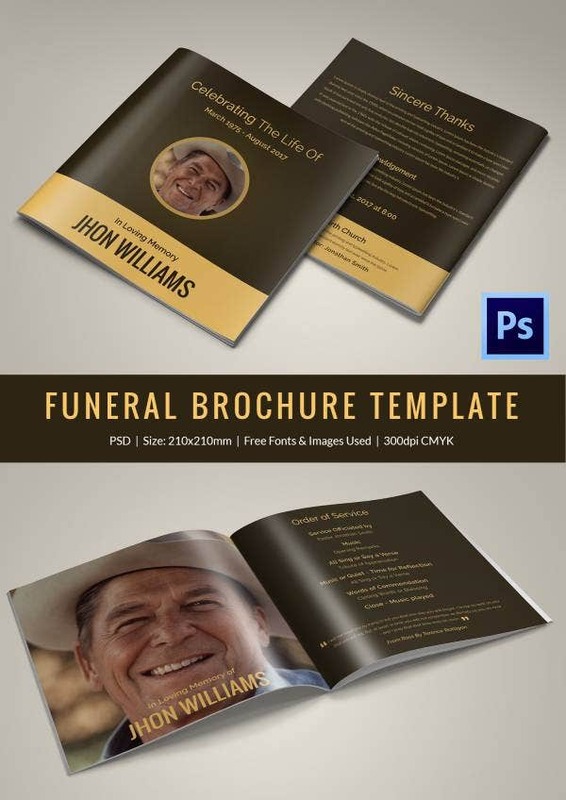 You can also see Funeral Memorial Program Templates. Catholic funeral services are held in churches, the day after the vigil. These rituals will generally be performed during the holy week. 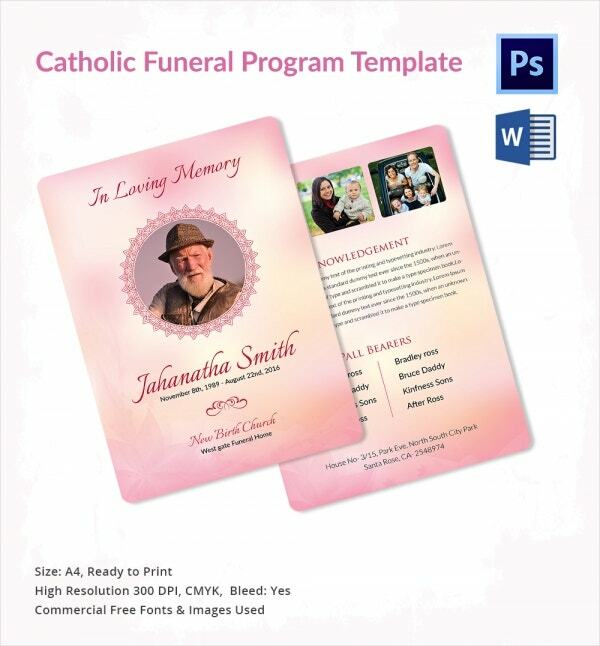 The final journey Catholic funeral examples can be used for the funeral ceremony of your maternal grandmother, paternal grandmother, or any other aged women in your family. What do you say? Just Amen. These examples hold plenty of space along with placeholders which enables you to keep the image and to write the text. Get yourself free from the subdued sighs and dry tones. 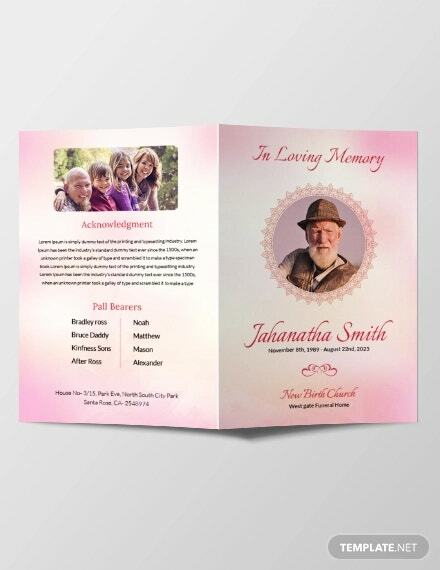 Download these Floral funeral program examples and put your mournful thoughts into the letters. These examples can be a fitting tribute to the ones who sleep in the arms of Jesus. Bi-folds are tri-folds can easily fit in your pockets. Also, they are the new era distributable. 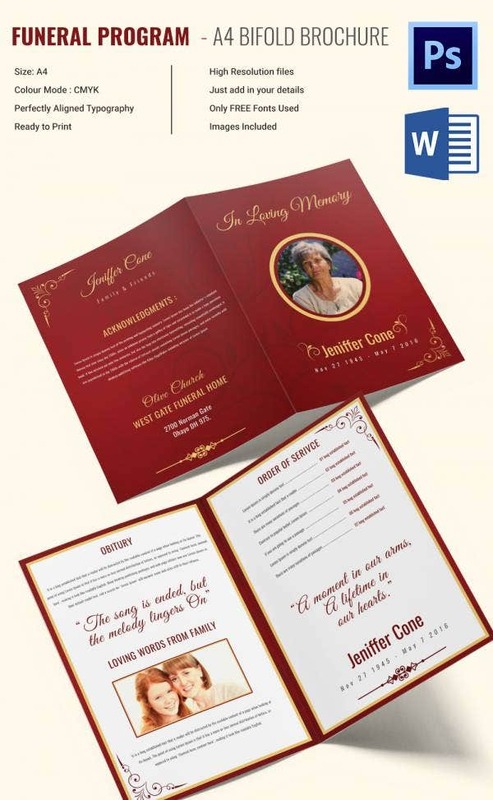 The above mentioned foldable funeral examples with a decent look are great to be kept at funeral ceremonies for attendees so that the gathering can open it quickly and read it. It is very cost-effective as well. Babies bring joy to the families and more than anything else, they are the charm of the house. Nobody can imagine their deaths even in their wildest dreams. But the harsh realities sometimes force to experience the unexpected. Our Baby Funeral examples may not replace the damage and erase your pain, but they at least help you cope up with the dreary and say thanks to those who attended for the cremation. Memorial funerals flash your remembrance with all the guests recalling the memories of the deceased and their bonding with him/her. These examples can be used for fetuses and kids as well. 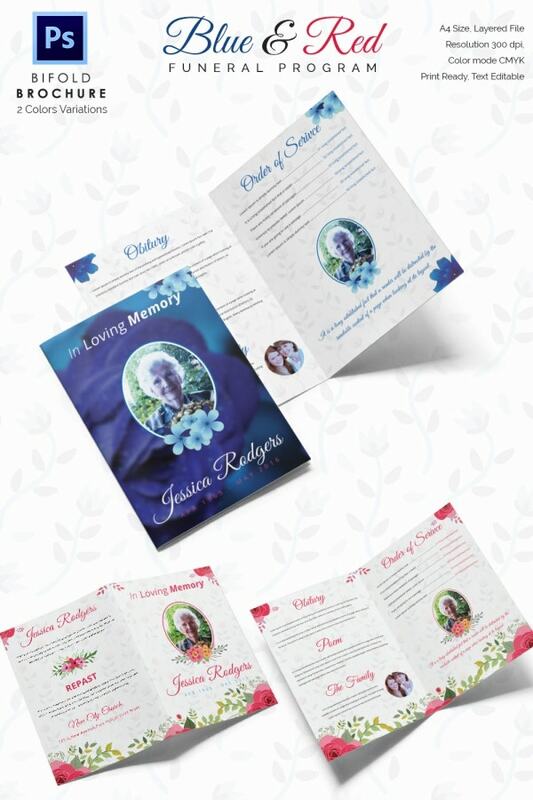 If you want a perfect combination of funeral examples along with the acknowledgment sayings, go for these Heaven’s Gift Funeral Program examples. The sections include a funeral schedule that consists of the date, time, and venue, a list of pallbearers, the order of services, and acknowledgment. The designs are still and sparkling with great color choices. 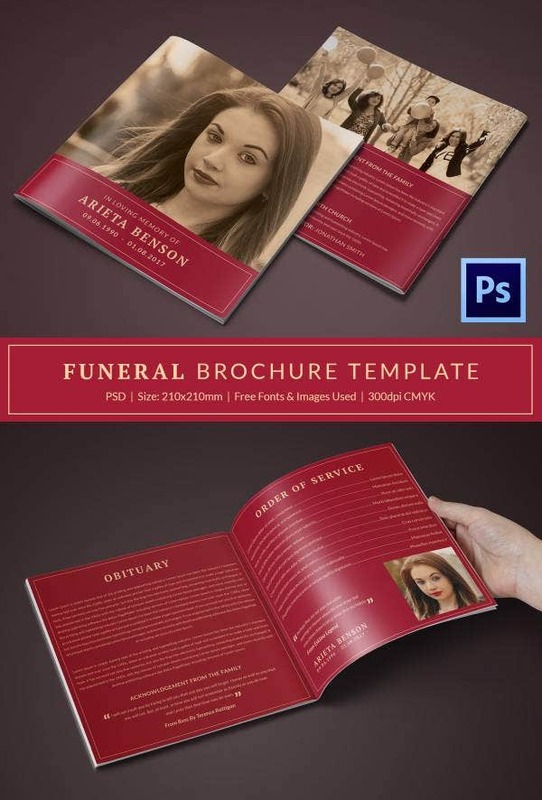 Victorian Funeral Program Templates again take you to the Victorian era. The age-old template perfectly suits for senior citizens. Otherwise, they hold all the required elements to anchor frame the visitor’s attention. The shabby color effect and the designs take you to the 19th century and elucidate its characteristics. The vintage theme is by choice, so if you have the only photograph of the deceased in his/her youth, you can go with this template without any second thought. For those who think that the sad themes are disturbing, the lavender theme with purple color is a wise choice. Times have changed and so has the way of paying obituary. Gone are the days of heartbroken crying for the person passed away; instead, the cheerful send offs are taking place. 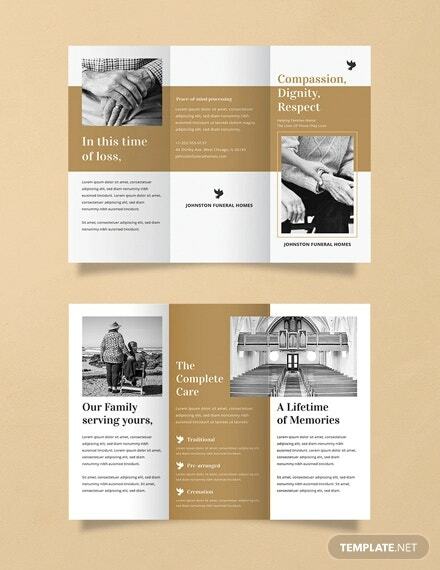 Our Modern Funeral Program Examples are one among them. Home-going is an Afro-American Christian traditional obituary paying, which resembles the return journey of the deceased to the heaven or Lord. 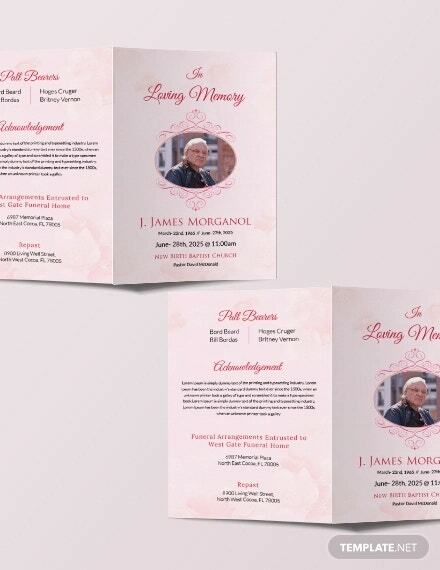 The template in the above displays the perfect obit with a great African-American traditional touch. > How to Write a Funeral Program? There are two ways to write a funeral program. One, writing it the hard way and the second being downloading a readymade template. 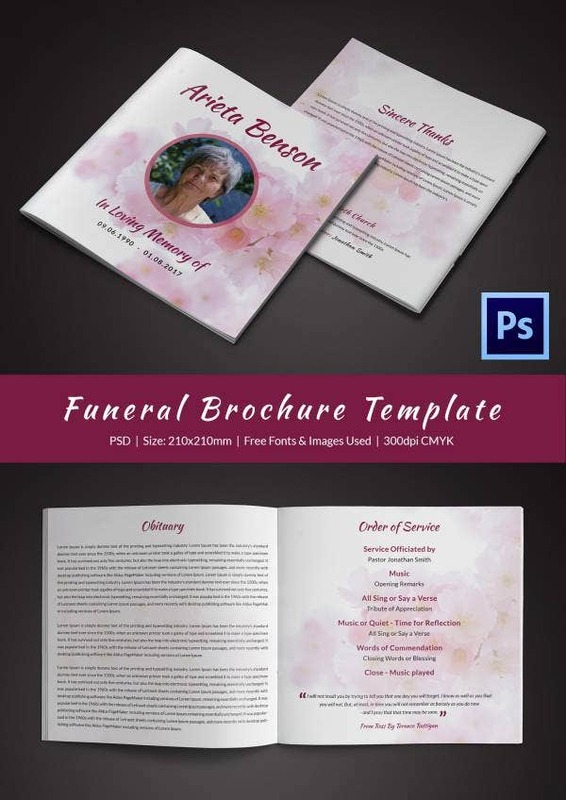 The Funeral program templates in this article enclose multiple examples in Microsoft Word and other formats. The beauty is that you will not find any two examples to be the same. Every template is unique in its way. They are not just meant for an eyewash, but substantially serves the purpose for the next few most tragic losses. You cannot stop appreciating the designers’ hard loving effort in lighting and tonal colors. You can also see Funeral Brochures.